Lions Clubs International is the world's largest service club organisation. Its 1.4 million members are dedicated to bettering the quality of life for the handicapped, the poor, the sick and the aged. The motto of Lions Clubs International is “WE SERVE,” and Lions live this motto with enthusiasm. 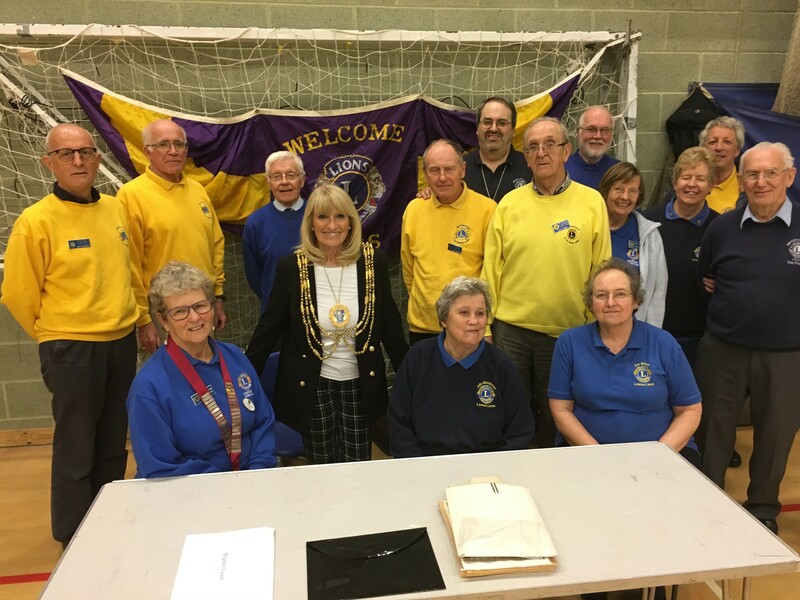 Rottingdean and Saltdean Lions are a service organisation of male volunteers who raise funds by organising and staffing local events such as Rottingdean Lions Fayre, Saltdean Gala, Charity Golf Day, a sponsored swim and similar fundraising activities. We look forward to your continued support to enable us to help good causes in our area. 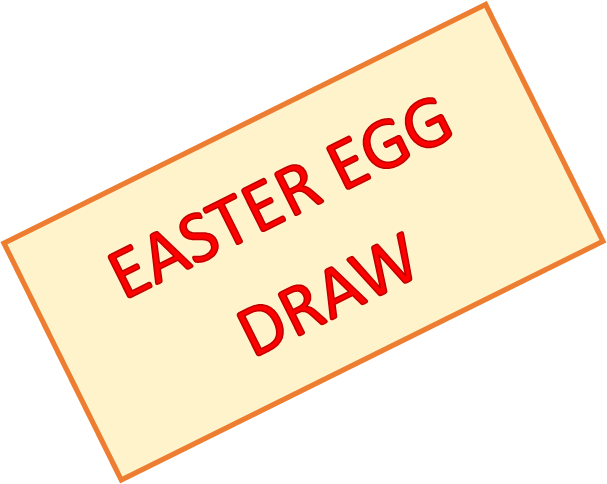 Our Annual Easter Egg Draw is now taking place at the following venues. Please support us by buying your tickets and then check back to see winning numbers once the draws have been held. Winning tickets will be annouced here after the event. 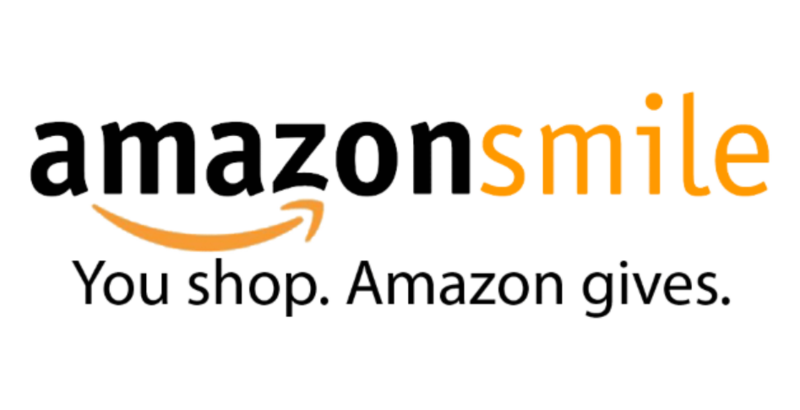 To assist us in raising funds to help local charities and projects could we ask you to use AmazonSmile when making your purchases. AmazonSmile is the same Amazon you know. Same products, same prices, same service. However Amazon will make a donation to charitable organisations based on the value of your orders. will automatically be your chosen charity. 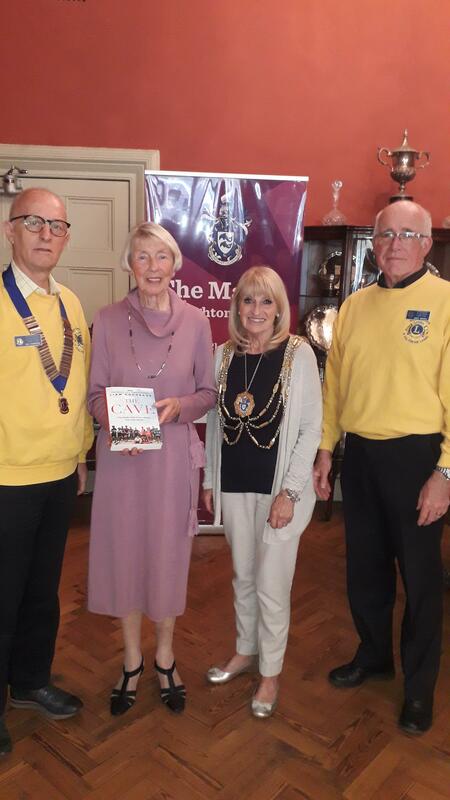 Lion President Ian Christie together with Lion Andy Wavell and Mrs Jill Volanthan visited the Mayor's Parlour to present a copy of The Cave to Councillor Dee Simson. The book gives an account of the daring rescue of a Thai football team trapped in a cave by flood water. One of the lead divers was John Volanthan who the Club sponsored to attend a Scout World Jamboree in Australia. John attended local schools and Scout Groups. 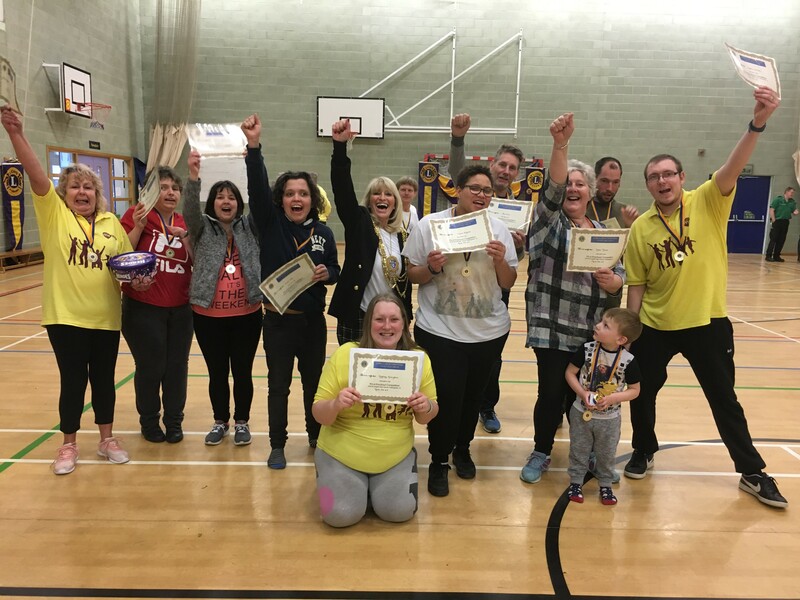 Members of Rottingdean & Saltdean Lions, together with Lions from other Lions Clubs, held an It’s a Knock Out day for local organisations who suppo disadvantaged members of the local community. 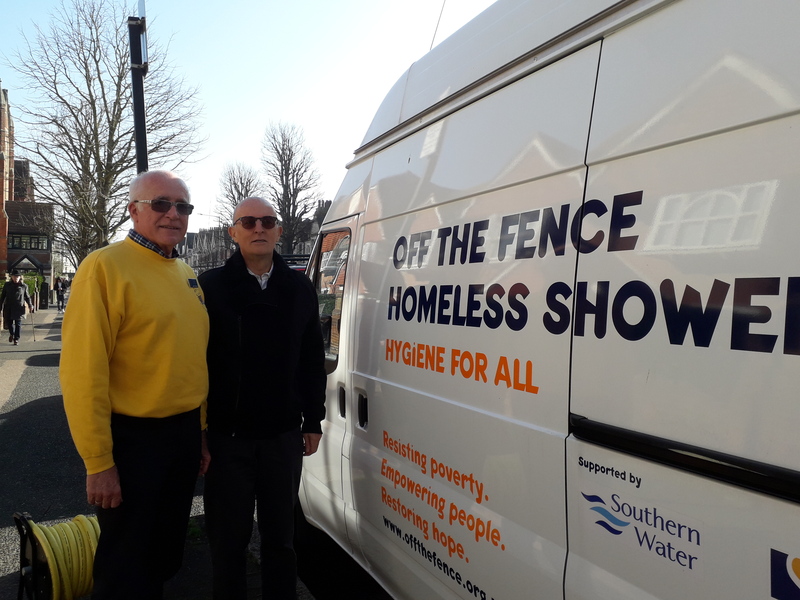 Lion President Ian Christie and Lion Andy Wavell, chair of the Service Committee, visited Off the Fence. This is a charity helping the homeless in all areas of Brighton and the visit was to see how the Service works. The Club helped with funding towards the shower van which travels around the city to provide facilities for homeless men and women. As Off The Fence is the President's Charity of the Year the Club will help with further projects during his presidential year. 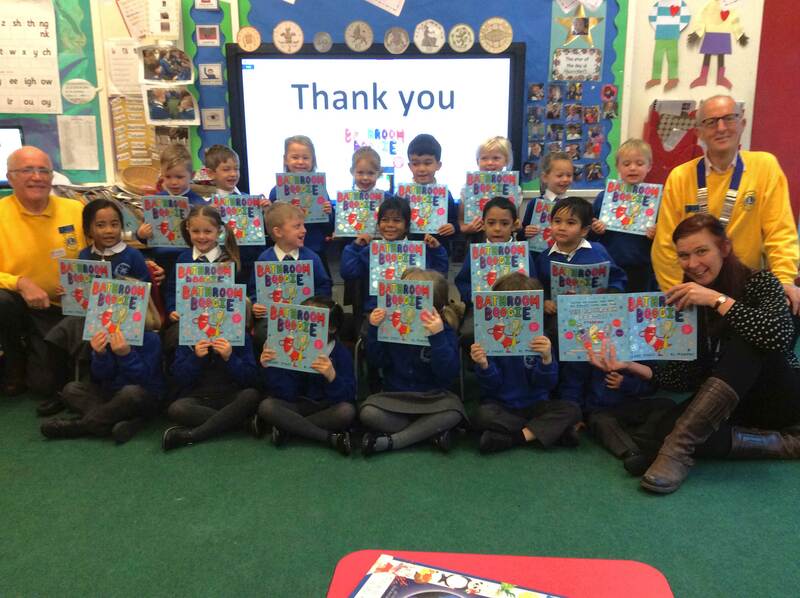 Lion President Ian Christie and Lion Andy Wavell were pleased to be able to present reading books to all the children in the Reception Class at Our Lady of Lourdes primary school. 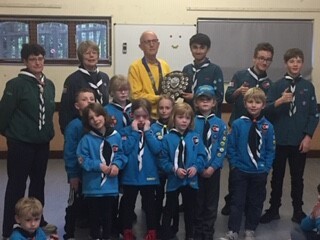 Lion President Ian Christie presented the Swim Shield to 23rd Brighton Scout Group for raising the most sponsorship amongst those taking part in our annual Sponsored Swim. Monies raised from this event will be shared with the participants and Chestnut Tree House. The annual Swimathon was held in the pool at Roedean School. Local groups were sponsored to swim as many lengths as possible in a given time. Monies raised will be divided between the Lions selected charity, Chestnut Tree House and the swimmers' own funds. 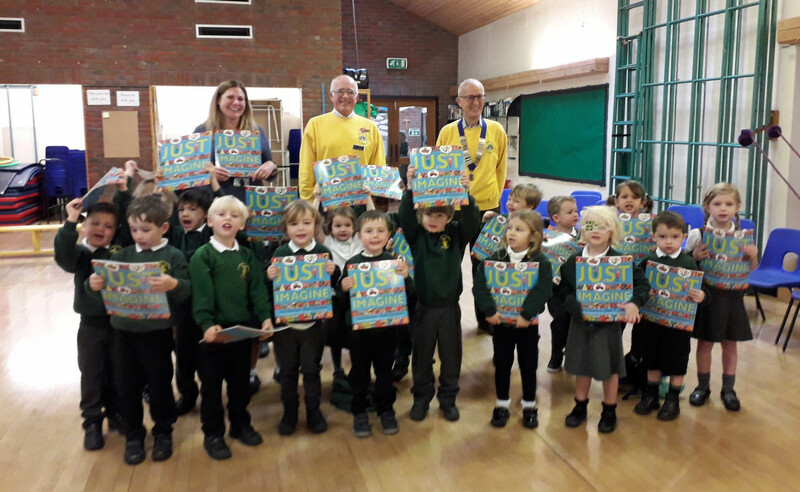 Lion President Ian Christie and Lion Andy Wavell visited St Margaret’s C of E Primary school to present books to children in the Reception Class. This privacy statement tells you how we, Rottingdean and Saltdean Lions Club, will process (collect, store and use) the information you provide in a manner compatible with the General Data Protection Regulation (GDPR) and the Data Protection Act (2018). We will endeavour to keep your information accurate and up to date, and not keep it for longer than is necessary. All Members of Rottingdean and Saltdean Lions Club who interact with data subjects are responsible for ensuring that this notice is drawn to the data subject’s attention and their consent to their processing of their data is secured. By consenting to this privacy notice you are giving us permission to process your personal data specifically for the purpose identified. You may withdraw your consent at any time by using the Contact Us option on this website.